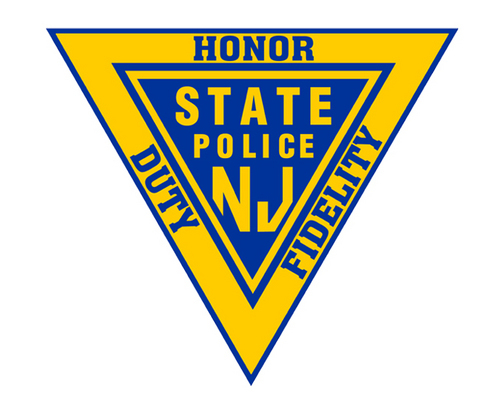 Bethlehem Township, N.J. – If you’re going to drive around with $114,000 worth of marijuana in a vehicle, you probably don’t want to crash the car and a have a box of the stuff fly out of the window ending up in the grass with troopers and other first responders walking around. But that’s what happened yesterday when State Troopers arrested a New York woman for marijuana possession after responding to a serious crash on Interstate 78 in Hunterdon County. At 12:56 p.m., Perryville Station troopers responded to milepost 8.2 westbound, and located a 2002 white Mercury Mountaineer in the center grass median. The preliminary accident investigation determined that the driver, Paulette Murray, 48, of Brooklyn, N.Y., failed to control the SUV, ran off the roadway into the center grass median, and struck the guiderail. Murray suffered serious injuries and was airlifted to St. Luke’s hospital in Bethlehem, Pennsylvania. The front seat passenger, Pauline Douglas-Dawkins, 50, of Cambria Heights, N.Y., was treated at the scene for minor injuries. During the accident investigation, troopers observed Douglas-Dawkins attempting to cover a damaged cardboard box with a blanket. In the cardboard box, troopers discovered a large package of marijuana with fabric softener used to mask the smell of the drugs. Douglas-Dawkins was arrested and the vehicle was towed to Perryville Station for further investigation. Troopers executed a search warrant on the vehicle and found additional packages of marijuana. In total, 57 pounds of marijuana was seized with an approximate street value of $114,000. Douglas-Dawkins was charged with Possession of Marijuana, Possession of Marijuana with Intent to Distribute, and Possession of Drug Paraphernalia. She was lodged in the Hunterdon County Jail in default of $100,000 full cash bail. Murray, who remains hospitalized, will be served with criminal complaints on a later date. Charges are mere accusations. All defendants are presumed innocent until proven guilty in a court of law.